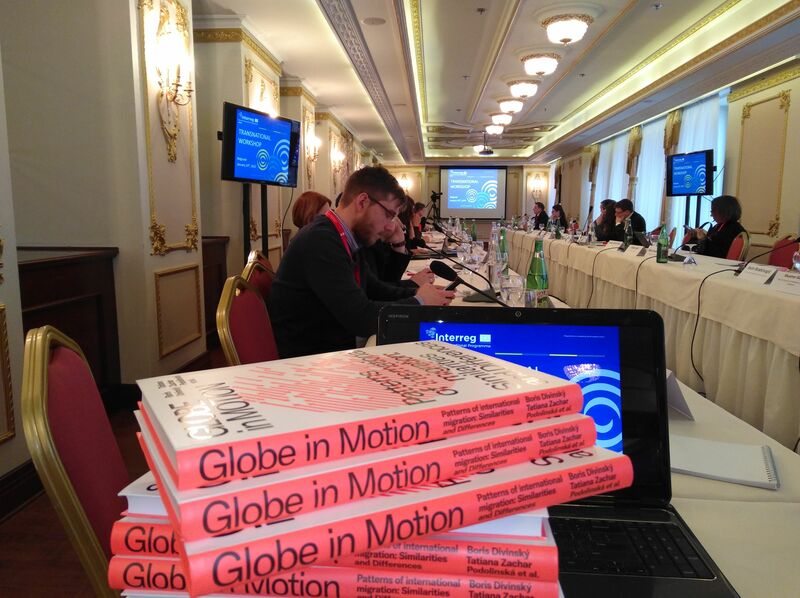 Book "Globe in Motion: Patterns of International Migration" published! On January 24, 2019 YUCOM, one of the DRIM project partners organized promotion of the edited volume Globe in Motion, Patterns of International Migration: Similarities and Differences, edited by B. Divinsky and T. Zachar Podolinska and published by Institute of Ethnology and Social Anthropology (SAS) in the framework of DRIM Interreg project. From the book: "The choice of the authors for scientific volume Globe in Motion. Patterns of International Migration: Similarities and Differences has been based on the need to reflect the heterogeneous substance of migration as well as to inform on, compare and evaluate hitherto experiences in various geographical and social dimensions. Though being global in an interconnected world, international migration still provides very good opportunities to juxtapose and assess diverse practices, policies and attitudes at the EU, national, regional or local levels. This book has been published as an outcome of a project supported by the European Union within the scheme Interreg (DRIM – Danube Region Information Platform)."